I was at the range today with some pellets that I was given to try by PAX guns. These new .177 Defiant Ogives are going to a real favorite with the guys hunting with .177 if they work like they did today in my John Bowkett Special Edition Hornet. 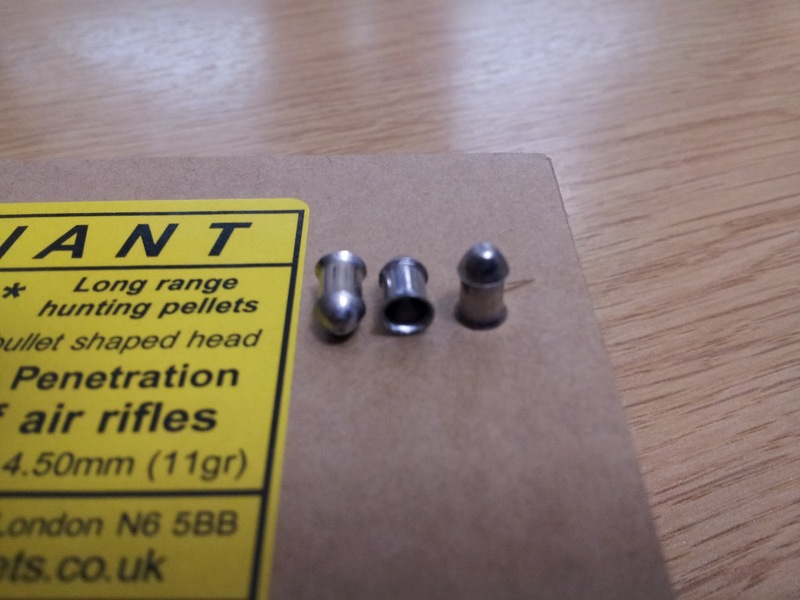 The ballistic coefficient of these pellets from PAX guns is incredible! They carry more down range punch than anything in it's class and over the scales they weigh up better than anything else I have tested. Weighing in at 11 grains these air bullet shaped pellets have the stopping power .177 hunters are going to love and I can really see these taking quite a chunk of the small caliber hunting pellet market if consistency and quality continue. 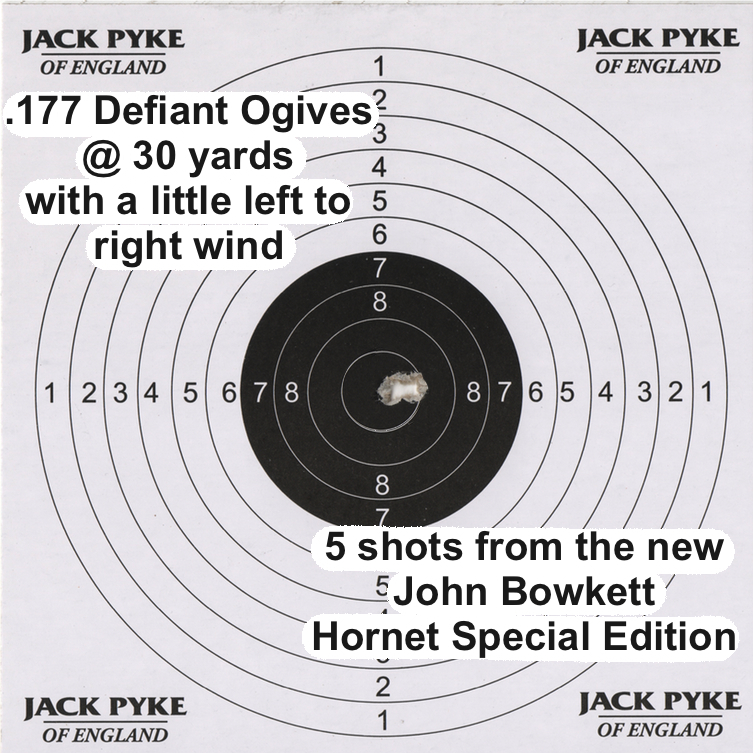 I have not tried them in any of the other guns I have here on test yet but one thing is for certain the Bowkett special edition Hornet I have just got absolutely loves them. I have used the defiant hft in 8.5 grains at 4.52. Fantastic quality pellet one hole group at 20m with untuned .177 hw99s. Pellets are so consistant for fit into the barrel. Just ordered a couple more boxes plus a small tub in 7.5 grains to trial.